Graham (Scouse) Leman, Poole, Dorset, UK "Just found this site. So many names and so many memories. BRILLIANT. And to dispel all the rumours, I never did any gun running in Africa when I left... only Liverpool!" Ben MacRae, Edmonton, AB, Canada "Excellent site. Lots of nice memorobilia." Buck Lobb, Osoyoos, BC, Canada "Good to see familiar faces." Once again, I attach a couple of piccies of XM496 at Kemble - we are tooling up to opening two Sundays monthly now - anyone interested in visiting us - do get in touch with me beforehand - I will put the red carpet out. On our most recent open day, a family came on board - youngish parents in their early 30's, with two children. 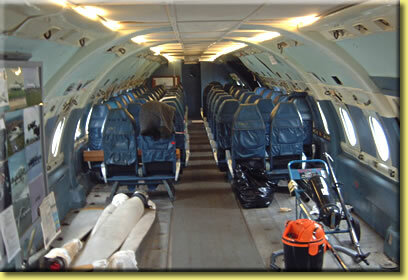 They looked at the flight deck then moved into the cabin. I asked the little boy (around 7 or 8) what he noticed about the cabin. Without hestitation, he replied "The seats face backwards". He had only been on one aircraft previously - a 737 to Spain! 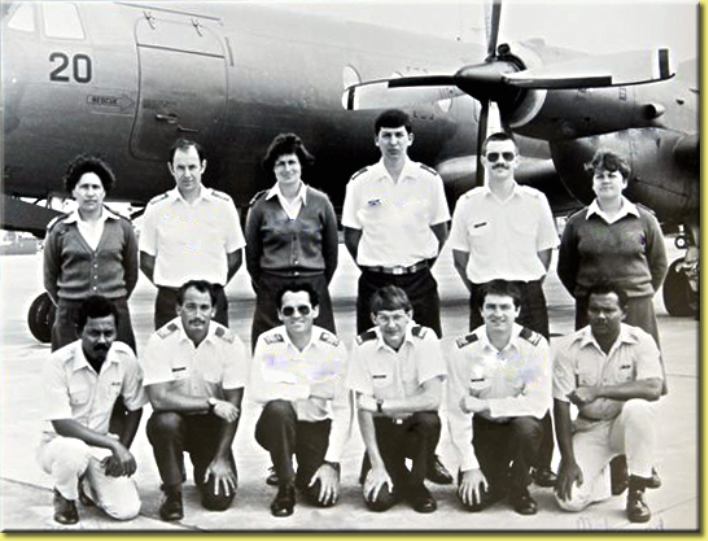 There are a small number of ex-UKMAMS with us in the RNZAF either "ex-RAF" or "LONGLOOKERS" - I will try to get us in all in one place at one time and send a mug shot. I did my MAMS tour in the early eighties with Jack Jones and Ian Berry as my team F/S. Later stints in Movements included Dulles, FI and CO 4624 Sqn with Chris Cahill and Owen Connell. PS...Yes they do a mean curry at Wellington Air Movs ...That's if Brian Lay remembers to invite you (thanks mate!!). Thanks Pete - that photograph idea sounds like a good plan! Do you still stay in touch with Chris Cahill? 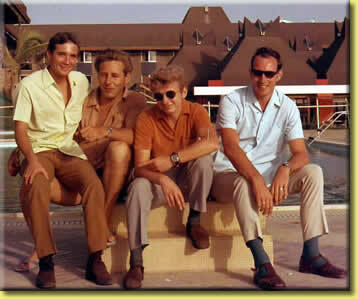 (I roomed with Chris along with Jim Gallagher and Bob Thacker back in the Abingdon days). 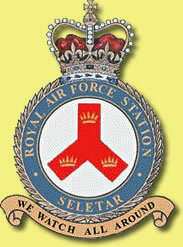 RAF Seletar Association was formed in 1997 with the intention of bringing together personnel who served or were based at Royal Air Force Seletar Base, Singapore in any capacity, service or civilian, including the families of those based there. 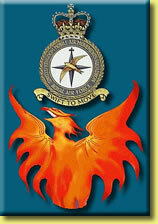 Membership now exceeds 900 and a magazine, the Seletar Searchlight, is issued three times a year. Mick Acaster, ex-UKMAMS 1970's and 80's, passed away in the last week of January. 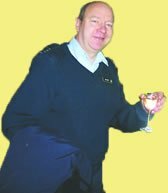 Mick was a Prison Officer in Leyland, Lancashire, and died on his way home from work of a suspected heart attack. Once again more sad news at the passing of one of the MAMS family. I first met Mick at Lyneham during the late 70's but do not recall the last time we met, probably at a re-union I guess. I am a bit late sending this and wanted to get it into the latest newsletter, rather surprised to see that nobody else sent a message but I am sure that will soon be rectified. Late condolences to all Mick's family, may he rest in peace. Thank you Peter, another good man has left us. Regretably there was no readily accesible point of contact to forward messages of condolence. Re the RAF mystery photo #021910. I can manage two out of four so not all my grey cells have gone yet. Second from left is Geordie Sanderson and on the extreme right is Dave Wright, both were members of Lima team where I spent some time before moving to the then newly formed Quebec team. Sadly both of these former squadron members are gone, but not forgotten. Can you please pass on the Family thanks for the condolence e-mails that I received with regards to the death of Dave Wright. I had printed them all out and gave them to Joan whilst we were having a quiet chat after the funeral service. Time has a habit of playing tricks on the memory Dave - I wouldn't have said that was Dave Wright on the right side, but that's definately Ian Place next to him. The thanks from Joan and Family have been passed on. 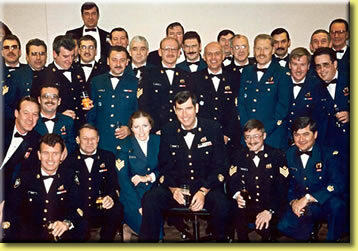 The picture was taken in the Greisbach WO’s & Sgt’s mess, CFB Edmonton in the late 1980’s. It was taken at a retirement Mess Dinner for Master Warrant Officer Al Brewer. 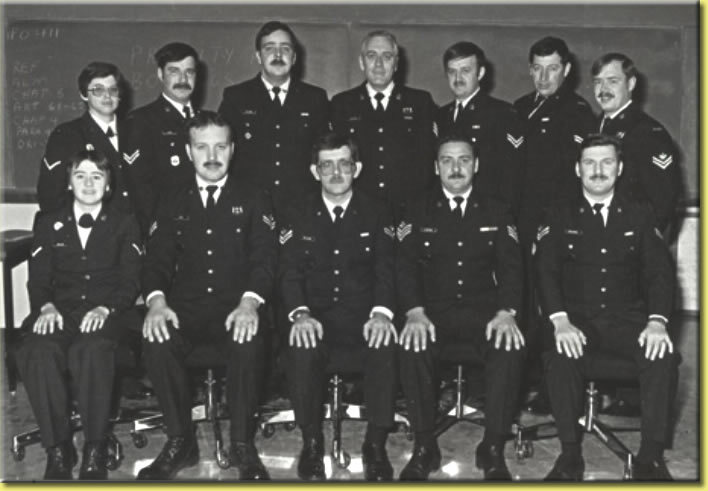 Fifth Row: Sgt Wayne Donner, Capt Tom Tobin, Sgt Gerry Morrow, WO Butch Bouchard. Cut off the side of your reproduction is also CWO Ken Cosman. I remember this dinner event because I got a call from MWO Rick Grinham, who at the time was posted to Canadian Forces School Traffic and Movements, Edmonton, Alberta. Thanks Harry - I see your smiling face next to Wayne! Wow....... does this ever bring back memories! It was from a mess dinner in Edmonton. I'm peeking over the top of Don Pollocks' head... ironically I replaced him in Ramstein a few years after the photo was taken. Late 80's? April 1988 Jim - and I see you! Several Latin American nations are buying the Super Tucano for use in anti-drug and counterinsurgency efforts. Even the U.S. and Britain are looking into the propeller-driven craft. Unsleek and unsupersonic, the Super Tucano hardly fits most people's concept of a modern warplane. But Brazilian manufacturer Embraer is finding a growing market for the retro "light attack" propeller-driven aircraft among nations looking to secure their borders, fight drugs and support counterinsurgency operations. Ecuador is one such customer. The two Super Tucanos that flew into Manta air base late last month were the first delivered on a 24-plane order that President Rafael Correa placed shortly after Colombian armed forces entered Ecuador's airspace in March 2008 to kill a high-ranking FARC rebel leader, Raul Reyes. Although the $250-million purchase was seen as a reaction to Colombia's violation of its sovereignty, Correa in his weekly television address Feb. 6 said that the aircraft acquisition didn't signal an arms buildup. Rather, he said, the planes were replacing Ecuador's fleet of mostly 30-year-old A-37 Dragonfly aircraft made by Cessna. Relations between Colombia and Ecuador have improved since the 2008 incursion, when Correa briefly mobilized troops and froze trans-border commerce. Recently, the neighbors have reestablished diplomatic ties and resumed cooperation concerning drug interdiction and the FARC. Colombian President Alvaro Uribe in 2008 justified the air operation, saying that Ecuador looked the other way when it came to the presence of the FARC. More recently, he thanked Correa after Ecuadorean armed forces killed three suspected FARC rebels in Ecuadorean territory Jan. 18. The two-seater Super Tucano's top speed is only about 350 mph. But it has a 620-mile combat radius and can stay aloft for six hours. Introduced in 2003, the plane can be outfitted with two heavy machine guns as well as 2 tons of guided bombs and rockets, said Robert Munks, an Americas analyst for IHS Jane's military consultants in London. With their uses in training, surveillance and offensive campaigns, the Super Tucanos fit the bill for many Third World countries, and at $10 million each, are relatively cheap, Munks said. After five years in service with the Colombian air force, the planes have proved their worth in anti-drug and counterinsurgency operations, he said. Chile and the Dominican Republic have bought Super Tucanos. An Embraer spokesman declined to comment on reports that Indonesia and Peru have also placed orders. Britain's Royal Air Force is weighing the possibility of replacing its fleet of Harrier vertical takeoff jets with Super Tucanos instead of Lockheed Martin F-35Bs, which cost 10 times as much. The Pentagon is considering buying 200 of the aircraft. If the Pentagon buys the planes -- 100 each for the Navy and Air Force, according to reports -- the order would equal the total number of Super Tucanos that have been sold to date. The principal customers have been the air forces of Brazil, with 99, and Colombia, which bought 25. 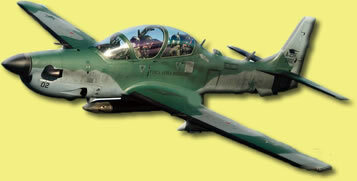 Promoting Super Tucano sales is part of Brazil's ambitious campaign to raise its profile as a military power, as well as a manufacturer. In its strategic defense plan unveiled in 2008, Brazil said it was doing so to diversify its economy while protecting its natural resources. In joint deals with France, Brazil has embarked on technology-sharing projects to build its own fleet of helicopters and submarines. The nation is also in the process of deciding between French, Swedish and U.S. jet aircraft manufacturers for a new multibillion-dollar fleet of fighter jets. Embraer probably would have a role in building the aircraft. Embraer is also developing a new military transport plane called the KC-390 that will compete with Boeing's C-130 Hercules. France has promised to buy several of them. A little jog of the memory! Far from not realising I was pictured on the official photograph of the millionth gallon featured in the last two bulletins, you will find a copy I sent in bulletin 2008 of Feb 2008. It was taken in October or November 1966 at Embakasi. Charlie got most of the team right, and Ian correctly added me, but they both missed F/S Danny Earl, standing next to John O'Regan in the flying overalls. Danny and John were not originally on my team (I inherited them, if I remember correctly, from Ted Worsley - last heard of running a hostelry in Whitehaven, I believe) but teams changed personnel pretty regularly during the Oil Lift. Danny deserves to be remembered for his tremendous strength, huge capacity for hard work and very short fuse! He was quite close to retirement and often remarked on the fish and chip business he was going to buy when he eventually shed the overalls, but I never heard from him again after Abingdon. I'm delighted to hear, though, that John O'Regan is still in good form and I hope that Rob, his son-in-law, will pass on to him my very best wishes - we had some good laughs together. Good lads, all of them. Keep up the good work! The UKMAMS Association will hold its quarterly Committee Meeting at the RAFA Club, 41 - 43 Belle Vue Road, Swindon, SN1 3HN on Wednesday 10th March 2010. After the meeting the Chairman will be hosting a Members Meet and Greet and you are cordially invited to attend. The RAFA Swindon opens its doors at 2000hrs and I would advise you to stake your place at the bar as early as possible or risk getting injured by the stampeding committee in their quest to satisfy their thirst after the meeting. I look forward to seeing you on the 10th March 2010 and thank you for your continuing support for the UKMAMS Association. The Minister for Defence, Senator John Faulkner, today said the Australian Government is ensuring that the Royal Australian Air Force’s C-130J Hercules fleet can continue to meet their full capability requirements by upgrading them via a multinational development partnership upgrade program. The Government has approved funding of $45 million to undertake a range of important upgrades to aircraft systems. These will address system obsolescence, maintain coalition compatibility and enable these aircraft to comply with global air traffic standards. These upgrades will be introduced through ongoing participation in the C-130J Joint User Group Global Project Arrangement. This will enable Defence to upgrade the C-130J as part of a multinational Block Upgrade Program with other users including the United States, the United Kingdom, Denmark, Norway, Canada and Italy. This approval covers the design, testing and acquisition of modification kits for the C-130J Block 7.0 Upgrade. “Importantly, there is likely to be significant opportunity for Australian Industry to be involved in the national installation and support of the upgrade. Funding for these elements will be considered by Government following successful testing of the first modification kit on an Australian C-130J. This is an appropriate risk management strategy,” said Senator Faulkner. The C-130J routinely undertakes air logistics support, aero-medical evacuation, search and survivor assistance, troop transport and airdrop operations. 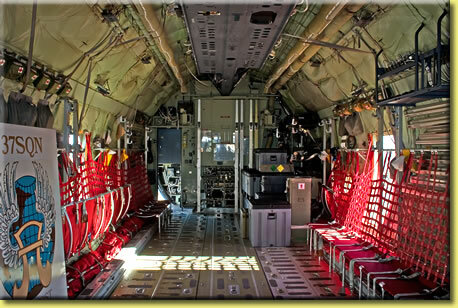 “The C-130J is the workhorse of the Royal Australian Air Force. The C-130J has conducted combat airlift in the Middle East Area of Operations since August 2004 and three aircraft are currently stationed in the Middle East. They are also frequently called on for short-notice operations in the South-East Asian and Pacific regions as well as responding to domestic contingencies such as providing flood relief in North Queensland,” said Senator Faulkner. Whilst I appreciate that many of you are now enjoying a well earned retirement some of you may be interested in the following vacancies. Please forward this email to any retired Movers who you are in contact with and who may be interested in applying for the posts. KBR are presently recruiting a number of civilian Air Movements Personnel for RAF bases. The scope of work will include Load Control, Cargo Handling and Traffic Section. Applicants will ideally be former RAF Air Movements personnel or have experience in working with the aircraft fleet and equipment utilized by the RAF as well as software applications associated therewith. Successful applicants will be required to have a number of the following course qualifications relating to the post and equipment to be utilized. Supervisors: Up to £40,000pa subject to qualifications & experience. Senior Operators: Up to £34,000pa subject to qualifications & experience. Operators: Grade 1: Up to £30,000pa subject to qualifications & experience. Additional information on Terms and conditions are available on request. Employees who remain out of the UK for a period exceeding 9 months of a tax year will be eligible to reclaim their tax paid. I remember Pete spending some weeks at a USAF base in England, learning all about the 25K Condec and becoming the only qualified operator in the whole of the RAF. 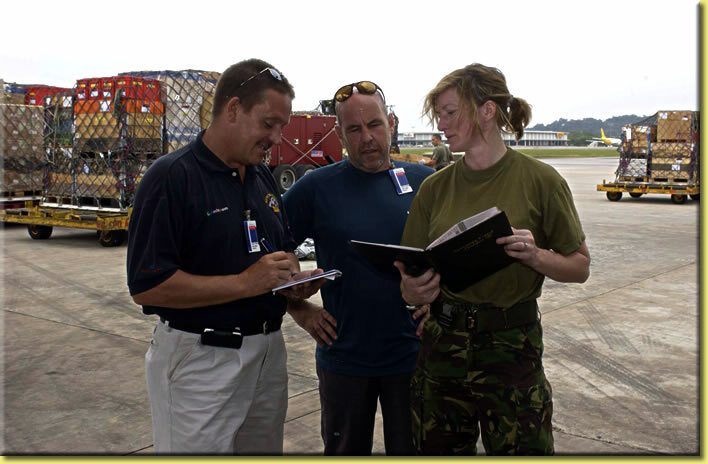 At RAF Abindon some officers and warrant officers were then taught by Pete all that he had learned. They then set up the official RAF course. Pete was the first one to have to attend it before being allowed to drive it officially. We laughed a lot about that! Also myself and Roger Blow (now in Indiana) were the only motobikers on the squadron and I jibbed at driving four wheels. It was only when the 25K appeared that I took and passed the RAF driving test. I loved that machine. Thanks Taff - I gather you saw that I placed you in the driver's seat of a 25K in the Christmas edition of the newsletter? Six Kaman SH-2F Seasprite helicopters bought by the Royal New Zealand Air Force (RNZAF) have emerged from quarantine and are being primed for a fresh lick of paint. The RNZAF bought the helicopters and four twin-engined Mitsubishi MU-2F planes in July last year for use in technical trade training for maintenance personnel at Woodbourne. Worth $6 million, they replace the Bell 47 Sioux helicopters and de Havilland Devon aircraft that, due to age, are no longer relevant for training. A Defence Force spokesperson said the helicopters, which arrived in Novem ber, had recently had their protective coating removed in preparation for being painted. The little bags of netting for gas lanterns (called 'mantles') are radioactive..
Can you all take time to read this and add your names please. I didn't know this but MPs get a medal for visiting a war zone. They don't have to do time in country like our service personnel and they don't have to wait months afterwards to get presented with the thing. Medals are all the recognition we as servicemen and servicewomen get for spending long months in staggeringly deprived locations getting shot at and blown up. The most action and flak an MP sees is over their expenses. As we saw with the Wootton Basset petition thousands of signatures in a short space of time did make the government act. They cannot ignore the voters. Especially now with elections looming. Please take the time to sign this petition and please encourage all your family to also do so. Where it asks for your name also add on the same line former military if you were. You will see what others have done. I think this adds just a little more bite to the petition. Once again get everyone with an email address to sign, including neighbours. Lets do our service personal this small service for all the danger they face and hard work they complete in the name of our country. Another great newsletter, but shocked to see myself featured! My cover completely blown! Goodness knows how you got hold of this 'interview'... I seem to remember that this was a telephone interview from Santo Domingo with a local North Wales newspaper. I am not long back from that mission. My team was based in Santo Domingo (SD), Dominican Republic and I only did one trip into Haiti by helicopter. It was frustrating for me (us) to be on the outside looking in. But, in the event setting a large logistics hub in SD was pivitol to the success of Federation (Red Cross, Red Crescent and Red Diamond Societies) Relief distribution in Haiti, which was peaking at 2,200 families (some 10,000 people) a day. 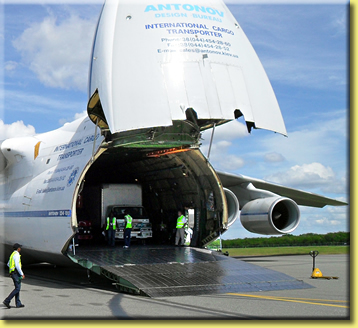 We deployed 17 Emergency Response Unit teams (medical, relief, water and sanitation,, IT, logistics etc) for the Far East Tsunami - for Haiti Geneva deployed 24 such teams. The Oil Lift picture brought back memories - my team was based in Dar as Salaam and Lusaka. Lusaka was where FS Ray Marks had that near fatal accident when he fell through the gap between the BFLP and Britannia door sill. I shudder every time I think about that particular night! As many will recall, some wag came up with the name 'Mushroom Airways' for that air bridge. I leave you to ponder. Many of us still have our Mushroom Airways ties. Many thanks David, but I doubt you would be able to bore us with tales from the ERU - to the contrary, I believe most would be intrigued! Thanks to Charles Collier for correcting me on my long held misconception about the authoring of the Abingdon move paper (OBA 012910). Makes you wonder how many other uncorrected misunderstandings have become ‘the accepted history’ with the passage of time? 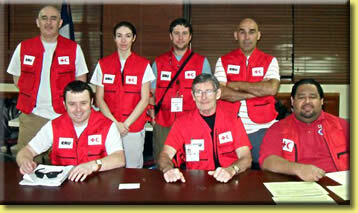 Also – well done to David Stevens; back in the thick of it with the Red Cross. Just joined the site. Many, many, names and stories come flooding back. Message for Al Rae: I have loads of photos from the Falklands War tour. Will post some soon. Nice to have you on board Scouse, welcome! A New Zealand relief mission has delivered an emergency package of food, medical and building supplies to one of the Cook Islands' most remote atolls..
Because of bad weather a supply ship has not visited the atoll of Penrhyn for five months, and last week it was hit by a storm that destroyed homes. A Royal New Zealand Air Force Hercules left Rarotonga last Saturday morning carrying a generator, chainsaws and emergency building, medical and food supplies. 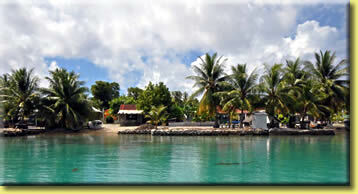 The atoll, three hours north of Rarotonga, is home to about 200 people. I am going backwards to Christmas!!. I only just read this issue!!! A great roundup of emergengcy aid groups headed for Haiti - sadly the British team never made it. 'Bout time you took a wee bit of a break David - I trust you're not on your way to Chile? Having been over the horizon for a few weeks, I am only now catching up with the correspondence and the e-mails, including another two cracking OBBs. The Rompers Green Naceval edition, stirred up a long forgotten memory of around 1985 while in the fuels job at MoD and I had to go down to Decimomannu. Transport out was the weekly DAC Herc run which went via Wildenrath. Where Rompers Green really kicked in was when I came to depart. 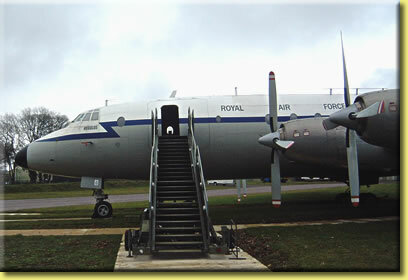 As far as I could work-out, I was the only passenger being dispatched through the vast RAF Lyneham organisation that morning. However, it was as though I had ceased to exist. The normal smooth running peacetime functions had been switched off, and war had arrived, leaving me on another planet! I recall wandering off to the airmen’s mess to scrounge some breakfast, followed by another gentle stroll, with suitcase, through the hyperactivity, up to Air Movements where I was an unwanted intrusion in their rapidly unfolding TTW plans. As a result I had to self-depart: identify aircraft, find a manifest, scrounge transport out to the aircraft, load self and suitcase and secure same, and off we departed into the sunrise and the real world. Quite the tale David... in retrospect it beats all of those mundane departures hands-down! The UKMAMS Old Bods Association is 10 years old - hard to believe! The website has managed to survive so far without resorting to the need for membership fees or third-party advertising. This was made possible in part through donations from a few members like yourselves and I want to thank you. There is a continuing need for monetary support, so if you value the pleasure it brings to you, then why not give a little back? Please click on the "Donate" button at the bottom of this newsletter. EADS North America has offered a plan for the US Air Force to purchase 118 Airbus Military A400Ms using savings made by retiring most of its Lockheed Martin C-130Hs and all its Lockheed C-5As. Based on standing up about eight squadrons of A400Ms, the proposal was submitted last year following a request from the Air Mobility Command, says Neil Smith, EADS NA's programme director. "We get a very good reception," he adds. 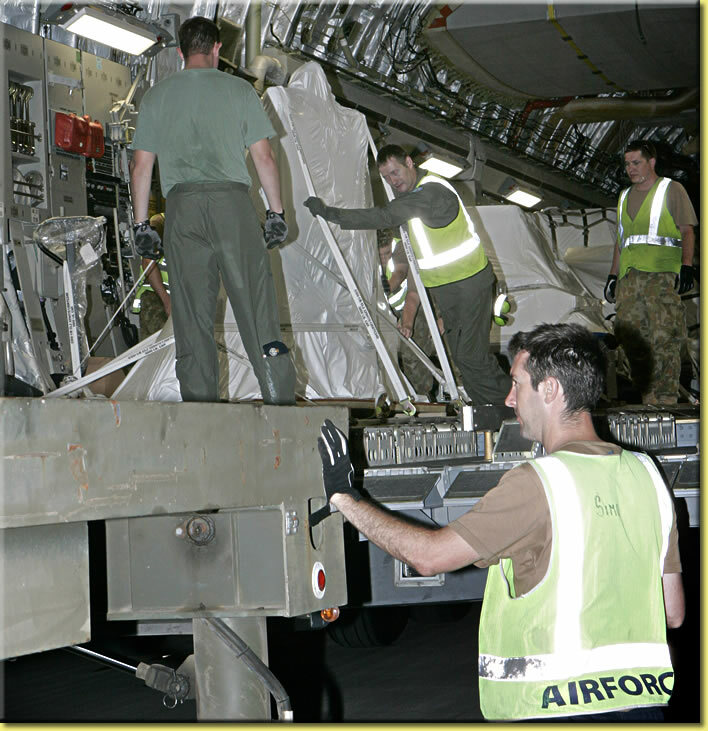 EADS argues that increasingly large ground vehicles have outgrown the C-130's 2.74m (8.9ft)-wide cargo box. The A400M's 3.96m cabin diameter would allow the US Army to load an armoured Stryker vehicle, says Smith. Lockheed has challenged EADS's cost assumptions for the delayed A400M, noting that it is still in negotiations with its European customers over a reportedly $7 billion cost overrun. "I think that's the ultimate in fuzzy math," says Jim Grant, Lockheed's vice-president of business development for air mobility and special operations programmes. EADS NA believes it would need to partner a major US prime contractor to succeed with an A400M proposal, and Smith says it would even consider partnering C-17 manufacturer Boeing. 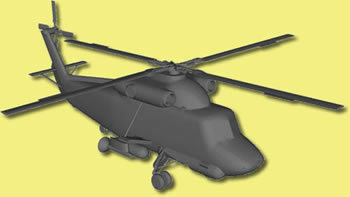 The company could send one of its eventual five test aircraft to the USA in early 2011 for a marketing tour, it adds. Manufacturing of the Europrop International TP400-D6 turboprop engine could also be performed in the USA under a related concept. EPI consortium member Rolls-Royce already has an engine manufacturing plant in Richmond, Virginia, and Smith says this has the extra capacity to potentially act as a domestic source of production.